You can apply without cosigner to qualify for such types of car loan finances. Even you may not needed to undergo any stringent credit verification procedure. Although it is difficult to find lenders that offer student car loans without cosigner requirements, such a task might not be impossible either. The right place to begin your search for loan dealerships which provide auto financing that does not require cosigners to college or high school students is the internet. Nevertheless, to locate them with ease, you may need guidance from a national car loan finance service provider. CarLoanNoCredit is one of Canada’s premier auto loan service providers that enable college students to get fast approved for no cosigner student auto loans online. Pay a large down payment, at least 10 or 20% of car’s sticker price. Easy to afford monthly payments as cosigner serves as an assurance. You can consider trade-in of present vehicle in place of down payment. Give proof to lender that you have enough income for paying car instalments. 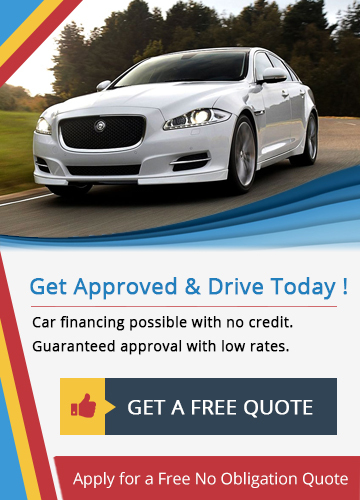 Secure car loans online at lowest rates with instant approval. Just go through our application process. If you are a student and not having job then do not worry. We offers best rates for students in Canada. Not have down payment? We offer no down payment loans too. Avail right now. What Is the Simplest Way to Borrow Student Car Loans Without CoSigner? The best way to get a car financed at a sustainable interest rate while you are a college student is to make sure that you have good credit. Majority of the lenders will approve your student car finance request without need of any cosigner if you have credit score over 650. However, if your credit rating is below 650, you can face some rough weather at the time of exploring your chances of obtaining an approval. Loan dealers will ask for some kind of financial assurance to approve your application. Information about your current business, mortgage investment, stocks, bonds, etc. In case, you aren’t a Canada citizen, give details of alien registration/permanent resident card. It is possible to build credit through two different methods. First and foremost, you can get a credit card with low balance and borrow money from it at regular intervals. But you must make sure that you are current on debt payments if you really intend to build credit quickly. Alternatively, if your parents use credit cards and have good credit, you can ask them to get your name added as a user. Better known as piggybacking, this method can enable building credit faster provided you ensure regularity in payment of money that is being borrowed. It is easier to build credit by qualifying for no cosigner student auto finance loans. Increasing competition among lenders enables borrowers to obtain competitive interest rates. With low interest rate and flexible loan prepayment terms, monthly car payments are affordable. If applicant has good credit rating then the probability of getting approved for the lowest interest rate if extremely high. You can get an approval for a lower interest rate if you show willingness to pay down payment. At CarLoanNoCredit, we have a fast, simple and easy 3 step process for enabling you to find the best lenders in business that offer affordable student auto loans without cosigner online. Here is some vital information pertaining to the same which you may find useful during your overall effort to secure a no cosigner student auto loan solution that helps you in building credit within a stipulated frame of time. Make Sure You at Least Have a Part-Time Job - To enhance chances of obtaining faster approval for a student auto loan with no cosigner online, you need to ensure that you at least have a part-time job which fetches you regular and sufficient monthly income for paying car instalments on time. Most of the loan dealers will verify that. Build Some Credit Prior to Applying for A Loan - For winning lenders’ confidence, it could be better if you take some urgent action for building credit profile before approaching various lenders. To that effect, you can secure low balance credit card and borrow money from it regularly. But ensure that the money being borrowed is being repaid on time. Monitor The Progress of Your Credit Profile - Apart from taking effective steps for building credit, it could be important for you to consider some other aspects as well. These include things such as making sure that your debts are under control, paying all your utility and other bills regularly, also repaying previous high interest credit debts, etc. Also get free annual copy of your credit report from the major credit bureaus in the country to make sure that it is totally error-free. Go through our simple, fast and secure application process to get lowest rates on student car loans without cosigners. Get multiple online quotes and compare all. Choose the best one according to your need.